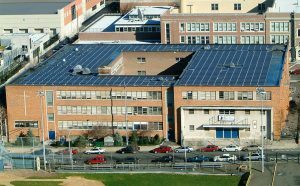 In collaboration with Saint Joseph of the Palisades High School, WorldWater & Solar Technologies designed and installed a rooftop solar system. Under WorldWater’s Alternative Clean Energy Services (ACES) plan, St. Joseph’s will not incur any start-up costs for the installation and the school will receive a 10% discount on their cost for power compared to their electric rate. The installation of the solar energy system at the school guarantees that the school will save money on electric costs immediately and on a long-term basis. The construction value of the project is $1.3 million. 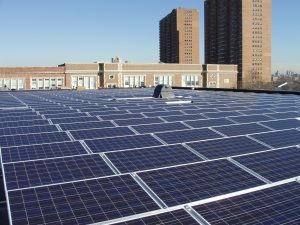 The school will remain connected to the electric grid and will receive power from both the utility and its solar rooftop unit.